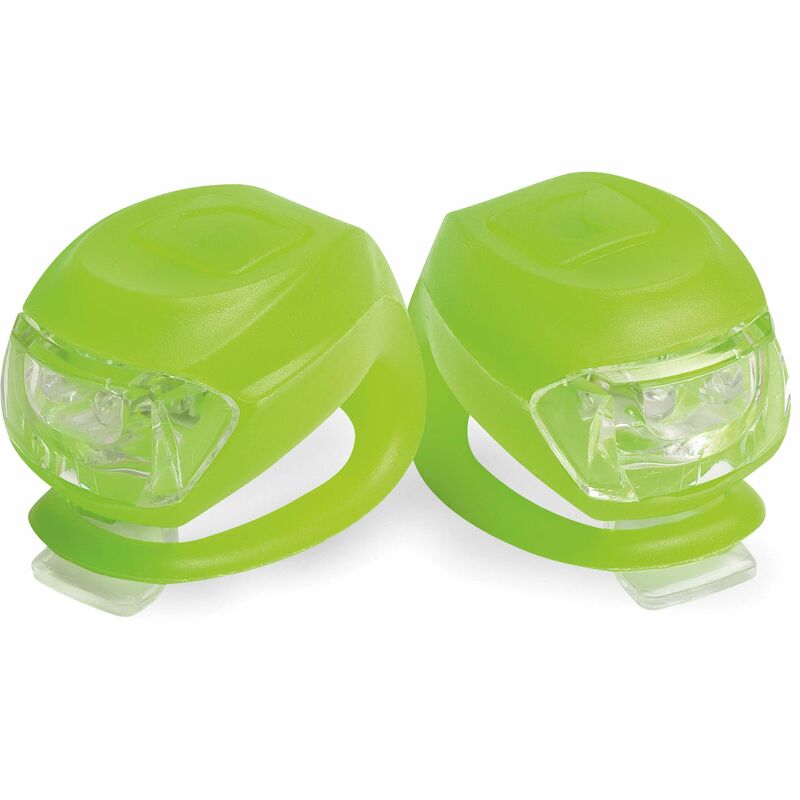 Set of two LED lights with two modes (flashing or stead) allow you to select the right degree of visibility. Water-resistant silicone body withstands weather. A lightweight and waterproof style that's easy to install, this affordable light kit is your SEE ME light par excellence. 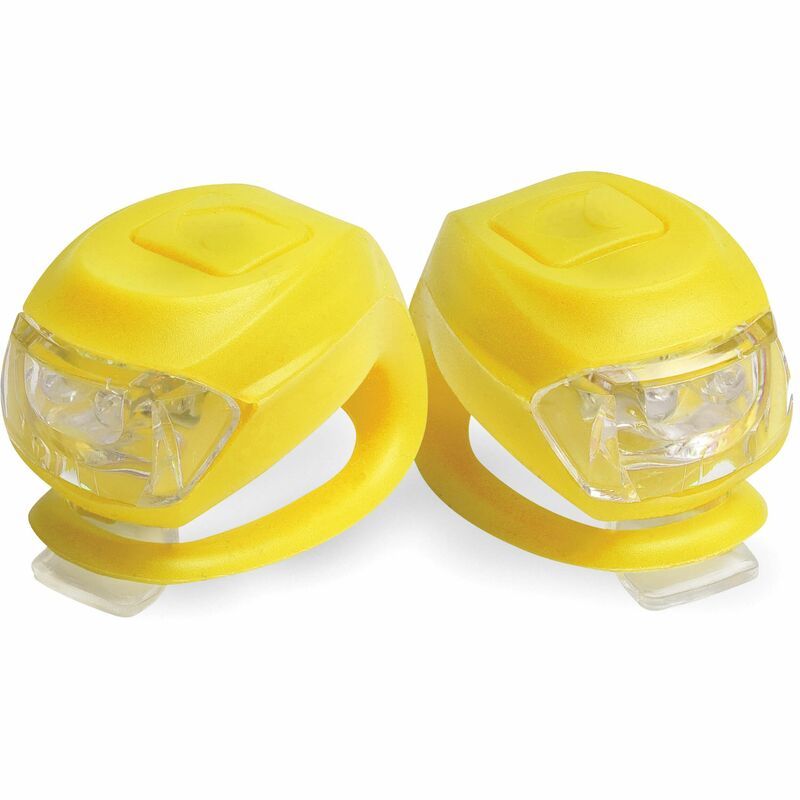 6.6 lumens white LED light at front and 2.5 lumens red LED light at rear for a handy and easy SEE ME safety light. Resists any weather you throw at it; long-lasting CR2032 batteries included. 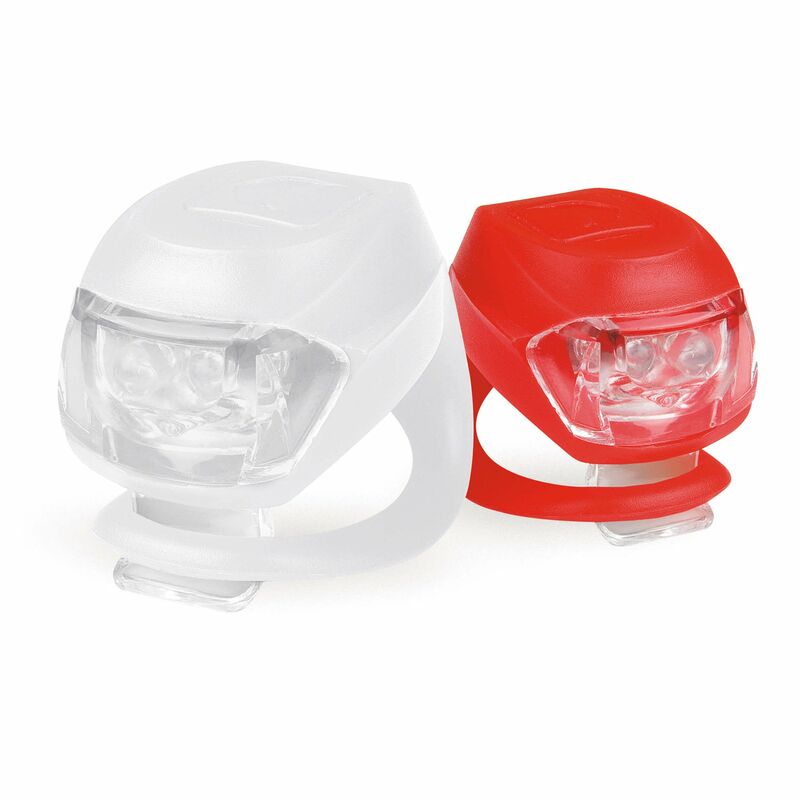 In steady mode, a running autonomy of 120 hours for the rear red light and 96 hours for the white light. In flash mode, a whopping autonomy of 240 hours for the red light and 192 hours for the white light.